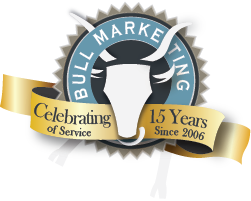 Brandywine Global | Portfolio | Bull Marketing Inc. Portfolio - Bull Marketing Inc. 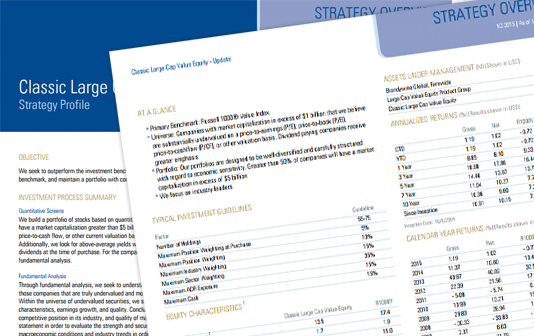 Automation fact sheet and pitch book production: Brandywine Global Investment Management (BGIM) originally approached Bull Marketing to develop a way to automate the management of fact sheets and pitch books. Up until that point, they were performing all maintenance by hand consuming exorbitant amounts of time and resources. The specific request was to find a way to parse data more quickly, a solution where a user could upload data and have it automatically generate an entire library of fact sheets and pitch books, drawing from all of their existing strategies. We developed a proprietary software solution custom designed to their specifications to address these initiatives. The Bull Marketing solution resulted in Brandywine Global Investment Management being able to process their communications 80% faster than they were able to when they compiled them by hand. They were so enthusiastic with our work that they decided to partner with us on many additional projects, including; webcasts, white papers, fact sheets, website, blog, infographics and customized support. Brandywine Global Investment Management works with Bull Marketing on many mission critical projects and considers us an extension of their team. In addition to helping with white papers, we also assist Brandywine Global with things like; webcasts, data automation, factsheets, website, blog, infographics and customized support. 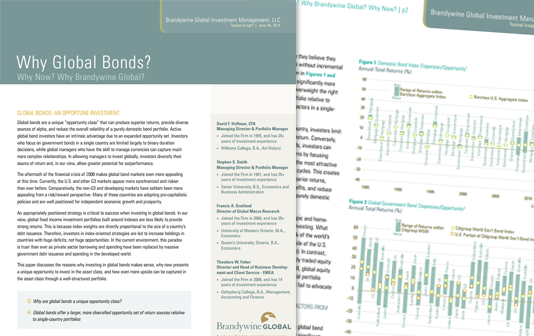 Brandywine Global Investment Management offers a broad array of fixed income, equity, alternatives, and asset allocation strategies that seek value across global markets. As of early of 2015, Brandywine Global manages over $60 Billion in assets. The firm is wholly owned, independently operated subsidiary of Legg Mason, Inc. (NYSE: LM), and is headquartered in Philadelphia, PA with office locations in San Francisco, Montreal, Toronto, Singapore and London. † Bull Marketing works on many sensitive projects dealing in compliance and confidential information. All portfolio works shown are used with permission and not restricted under NDA.